Quality drinks deserve to be served in a quality way and there's no better way to do that then outfitting your restaurant, home, office or catering business with your very own keg refrigerator! 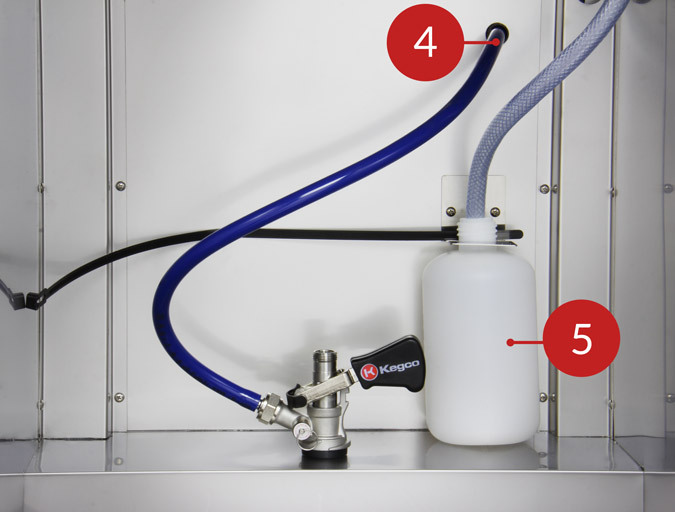 The Kegco XCK-1S-3 Triple Faucet Commercial Kegerator is ideally suited for a small restaurant or wine tasting room that is looking to start dispensing multiple kegs. This keg cooler is perfect for chilling and serving kegs of your favorite beverages such as beer, wine, cold brew coffee and kombucha. With three separate faucets that make it easy to serve a variety of beverages at one time, this beer and beverage dispenser helps you get a selection of drinks to your customers quickly. Appropriate for commercial and home use, and fitted with 4" locking casters, this kegerator can also be used outdoors or for catering. It is designed to work with a 3" diameter beer tower, and Beverage Factory offers the ability to add a custom draft system with our top quality selection of regulators, couplers and fittings. 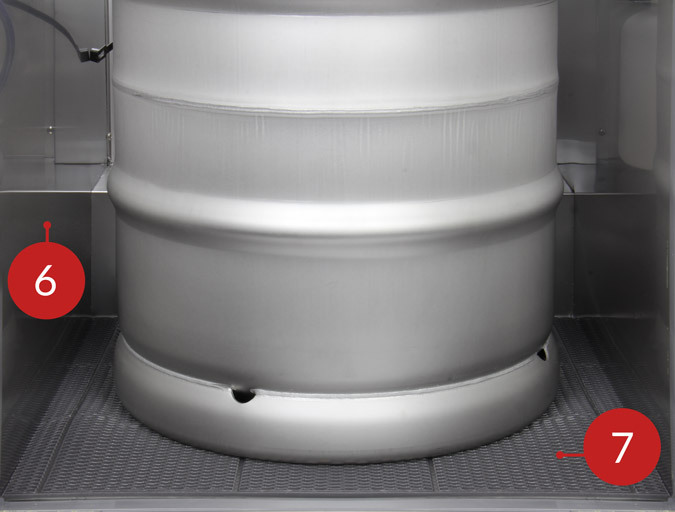 Your keg refrigerator will stay looking sleek and beautiful for a long time to come thanks to the stainless steal faucet and brushed stainless steal draft tower that will resist the damage associated with frequent use, keg changes, and commercial environments. 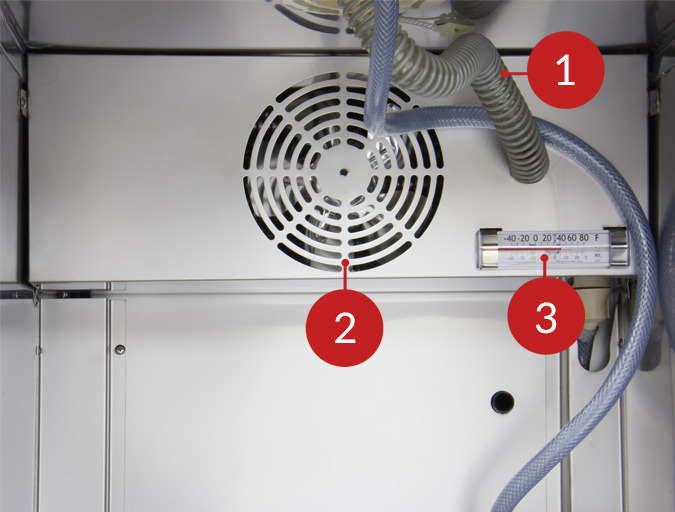 A 1/7 hp compressor and fan-forced cooling gets your beer keg cooler cold, and keeps it cold, fast. Foamed in place polyurethane insulation and a magnetic door gasket work to keep the temperature cool and consistent by preventing the loss of air that has been chilled with ozone friendly R134a refrigerant. Direct draw kit not included with this unit.